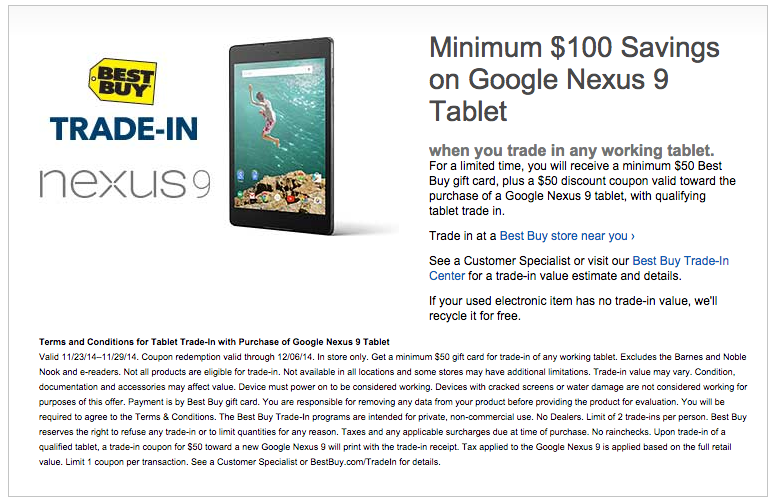 From now until November 29, if you trade in any working tablet at Best Buy, you can get a minimum savings of $100 towards the Nexus 9. If your tablet is in working order, with no cracks on the display, you will receive a $50 gift card, as well as a $50 discount coupon towards Google’s tablet. Best Buy has few restrictions on the deal, but it does exclude the Nook and other e-readers. 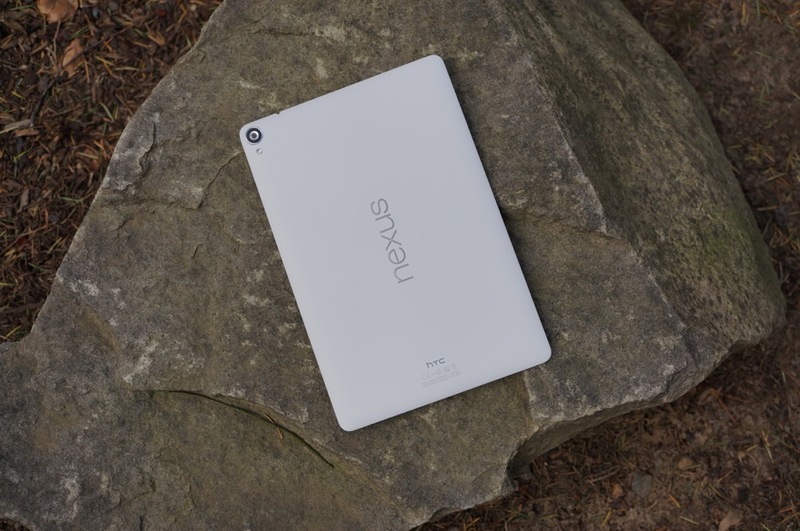 To make it short, if you have an old Nexus 7 or Galaxy tablet, now is good time to upgrade. If this deal interests you, check out the small print below.